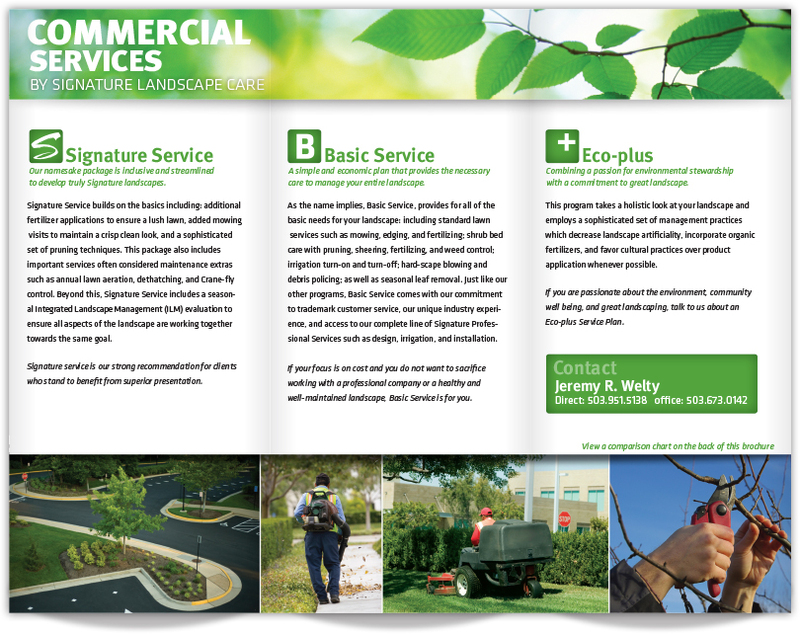 This is the first freelance project I designed for Signature Landscape Care. I worked with the lead commercial salesman to develop this brochure. It was important for the client that the piece be clean, simple, and easy to understand. To achieve this I used engaging photography and whitespace to enhance the copy.